Rwanda: Arguably known as the “country of a thousand hills” shines with stunning greenery, Rwanda gorillas,twin and deep lakes, soaring mountains and absolutely the greatest natural treasure of all – Part of the worlds mountain gorillas population lives in the famous virunga Mountains. Discover and travel into the heart of a thousand hills or endless spectacular landscapes and great culture, Pause in the virunga mountains and see these incredible, endangered great apes Rwanda gorillas from an up-close and personal encounter. Rwanda as a fast developing country has branded its self as the most cleanest city and a luxury destination. Rwanda also hosts the vibrant to visit Akagera National park where nature for the wild is spectacular and able to see part of the big 5 with so many other wildlife species including the beautiful standing Girrafes. The eastern part of Rwanda prides its self with one of the oldest rain-forest in Africa habouring a great number of chimpanzees, a forest where you can do canopy walks next to the beautiful stunning Lake kivu boardering the congo. 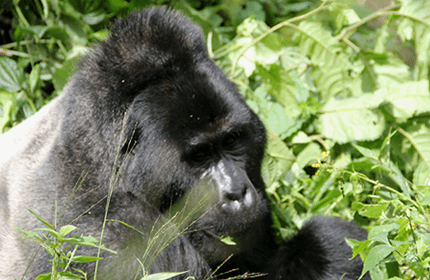 While the Northern province with the Chain of the virunga volcanoes prides in habouring The endangered Rwanda Gorillas and the famous Dian fossey caves. Our Rwanda experts have put together some packages to guide you making fundamental decisions for a perfect journey but we are able to put together an itinerary designed and fashioned just perfect for you. Get upclose & personal with human’s closest relatives in The vfamous Virunga ranges as You slumber in Rwanda’s finest safari lodges. Start in Rwanda and end in Uganda with a magical and inspirational safari. venture into the Most spectacular destinations of Rwanda and uganda. 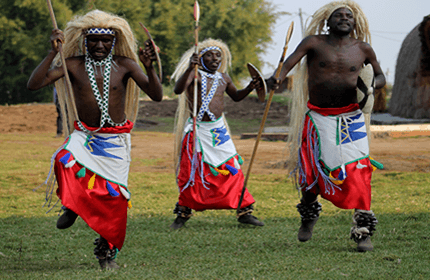 Enjoy a well blended 7 days Rwanda safari with the unique Culture including kinyarwanda Intore Cultural Dance and wind it tracking the mountain Gorillas in Virunga. Travel & Slumber in style on A luxury Rwanda tour. Be rewarded with the best safari experience visiting the best highlights and staying in Rwandas finest safari Lodges.